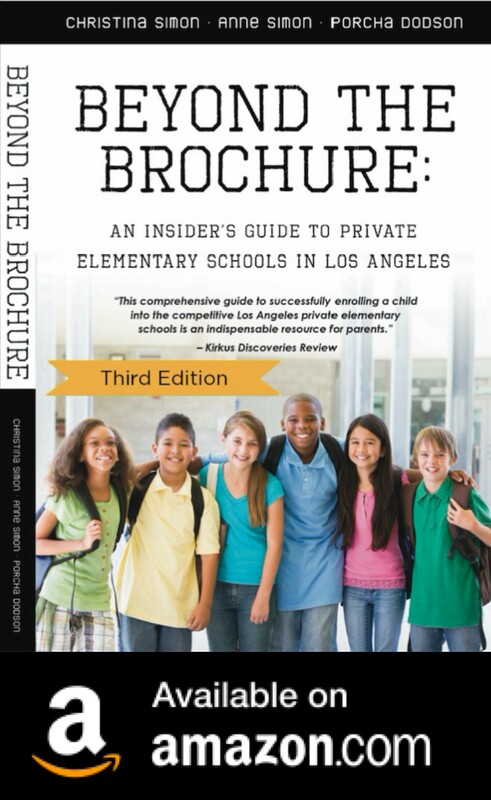 There seems to be an endless fascination on the part of us private elementary school types about feeder schools to Harvard-Westlake. Understandable, right? Unclear. The chatter continues…including at a boisterous and fun dinner party at my house last night (eight adults and eight kids). A few of the guests were very “in-the-know” about all things Harvard-Westlake. However, Harvard-Westlake accepts students from more than 60 schools, including UCLA Lab School, The Willows, Turning Point, Sinai Akiba, Paul Revere, Lincoln Middle School, and more. Parents should not hesitate to apply to the schools where they think their child would thrive. Our son is a graduate of a progressive elementary school and is currently a 9th grader at Harvard Westlake. His school was not one of the feeder schools to HW. He applied to HW without report card grades since none were ever used to evaluate his grade school progress. HW showed itself to be the school which would offer him the academic, athletic and artistic choices that he enjoyed and learned to love at his grade school. He had no connections, but his interviewer was taken by his love for learning and natural curiosity. The interviewer told us that they were looking for more individuals like our son. He did well on the ISEE, is an avid reader and I think the admissions committee recognized that this child, although not prepped for HW admissions was the kind of child they most welcomed. Parents, be true to yourselves and find the best fit for your children at each stage of development. You said “He did well on the ISEE”. Do you know “what scores are regarded as good” by the admission office? Keep in mind this list is weighted toward larger elementary schools. I attended Laurence School, and my graduating class was quite small (around 20), but a very large percentage of us matriculated to Harvard-Westlake (8/20-ish). I was actually a unique case. I made a three-year stop at a typical public middle-school before attending Harvard-Westlake. My grades in middle-school were excellent, but that's a given; the difference is your interview. Thanks to both of these Anonymous commenters for the reality check!